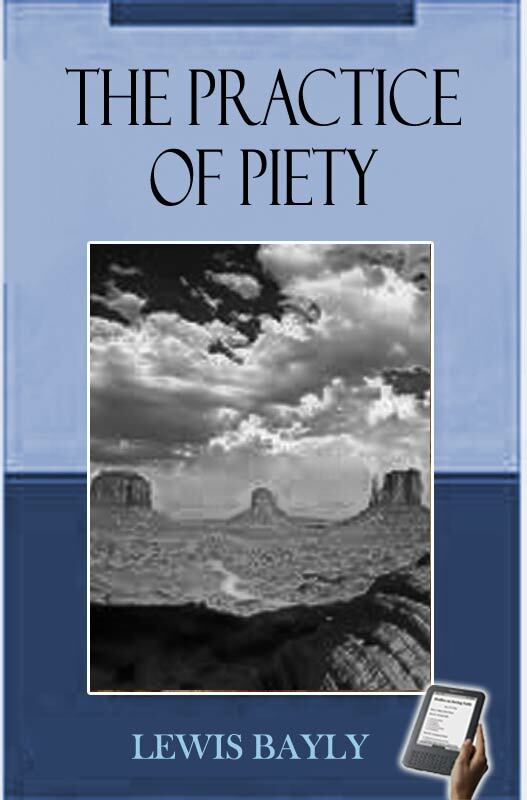 The Practice of Piety, one of the best-selling and most influential devotional books of all time. Its sub-title is Directing a Christian How to Walk That He May Please God. 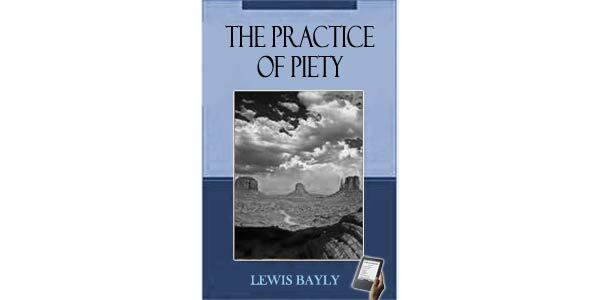 An eminently practical book that gave believers counsel for various phases of life and various parts of the day, Bayly’s Practice of Piety was immensely popular. Two examples show that it was one those “standard works” you could expect to find everywhere: When John Bunyan married his wife, she brought two books with her into the marriage, and one of them was Bayly. And when John Eliot finished translating the Bible into Algonquin for the Native Americans, his next project was to translate Bayly. Bayly was Oxford educated (Exeter college) and later served as chaplain to the prince of Wales and to James I. He was a bishop, but his book was popular with the Puritans. It was sometimes published anonymously for audiences that didn’t want to read books by bishops. The Practice of Piety (third edition 1613; I’m not sure when the first edition was) is available for reading online. You can jump in anywhere for the practical wisdom and fervent devotion that made it a handbook relied on by generations of believers. Forasmuch as there can be no true piety without the knowledge of God; nor any good practice without the knowledge of a man’s own self; we will therefore lay down the knowledge of God’s majesty, and man’s misery, as the first and chiefest grounds of the Practice of Piety. The Practice of Piety consists: First, In knowing the essence of God, and that in respect of, (I.) The diverse manner of being therein, which are three persons: Father, Son, and Holy Ghost. (II.) The Attributes thereof; which are either Nominal or Real; (1.) Absolute, as, Simpleness, Infiniteness; (2.) Relative, as, Life, Understanding, Will, Power, Majesty. The first Person is named the Father; first, in respect of his natural son, Christ (Matt. 11:27; 3:17;) secondly, in respect of the elect, his adopted sons (Isa. 63:16; Eph. 3:14, 15;) that is, those who, being not his sons by nature, are made his sons by grace. The second Person is named the Son, because he is begotten of his Father’s substance, or nature (Prov. 30:4; Psal. ii. 7; Heb. i. 3; Phil. ii. 6;) and he is called the Word; First, because the conception of a word in man’s mind is the nearest thing that, in some sort, can shadow to us the manner how he is eternally begotten of his Father’s substance; and in this respect he is also called the Wisdom of his Father (Prov. viii. 12.) Secondly, because that by him the Father has from the beginning declared his will for our salvation (John i. 18); hence he is called logos quasi legon, the person speaking with or by the Father. Thirdly, because he is the chief argument of all the word of God (Acts x. 43; Heb. i. 1; Luke xxiv. 27; John v. 45; Acts iii. 22, 23, 24), or that Word whereof God spake when he promised the blessed seed to the fathers under the Old Testament. This is a profound grasp of trinitarian theology in its biblical and practical import. If you think ordinary Christians never hear very much about the Trinity and wonder when that started, you’ll have to look more nearer to your own doorstep than to Bayly. This teacher, who had a special talent for writing about piety in a way that made people want to own his book and carry it with them, also knew that there was no shortcut to getting those practical results: If you want knowledge of God, you’re going to have to study the Trinity. Mrs. John Bunyan and the Algonquin tribes of North America came along for the ride, as did numerous simple believers with Bayly’s trinitarianism on their bookshelves.